A little pillow to fill your head with easy romantic thoughts. 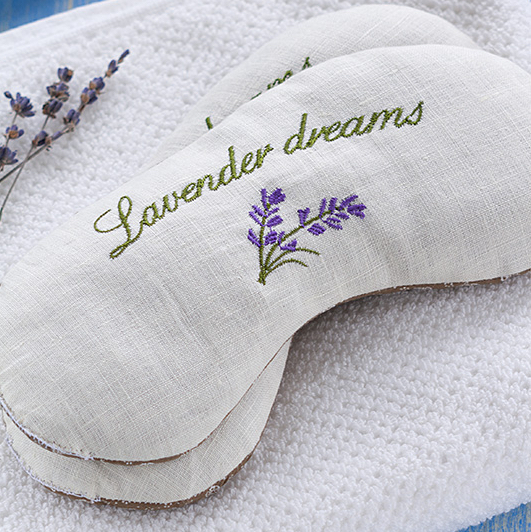 This pillowette is full of lavender flowers emanating calming scent, while grains of cereals help neck muscles to relax. Lavender flowers, wheat, flax seeds. If you’re sitting a lot, you can place this pillowette under your neck – at home, behind the wheel or in the office. While you are breathing in natural scents of herbs, your neck is enjoying ecofriendly and natural ‘support’. If you occasionally spend some time in a horizontal position – do yoga or meditate – this pillowette will be very useful as a neck cushion.